God help us, it’s happening again. NASCAR’s Charter System, which guarantees qualified teams a starting spot in each of 36 point-counting races each season and pays enhanced purse and point fund monies to charter-holding teams, has begun to be manipulated in much the same way its predecessor was in prior seasons. Go FAS Racing owner Archie St. Hilaire announced recently that he has purchased an ownership stake in Joe Falk’s Circle Sport Racing. Circle Sport fielded cars for Jeffrey Earnhardt last season -- in concert with TMG Motorsports – before parting company during the offseason. Go FAS Racing will now use the newly-acquired Circle Sport charter on the #32 car driven by Matt DiBenedetto this season. After acquiring the Circle Sport charter, St. Hilaire then sold a percentage of his Go FAS organization to Wood Brothers Racing, allowing them to assume control of the charter he used a year ago, for use on Paul Menard’s No. 21 Ford this season. 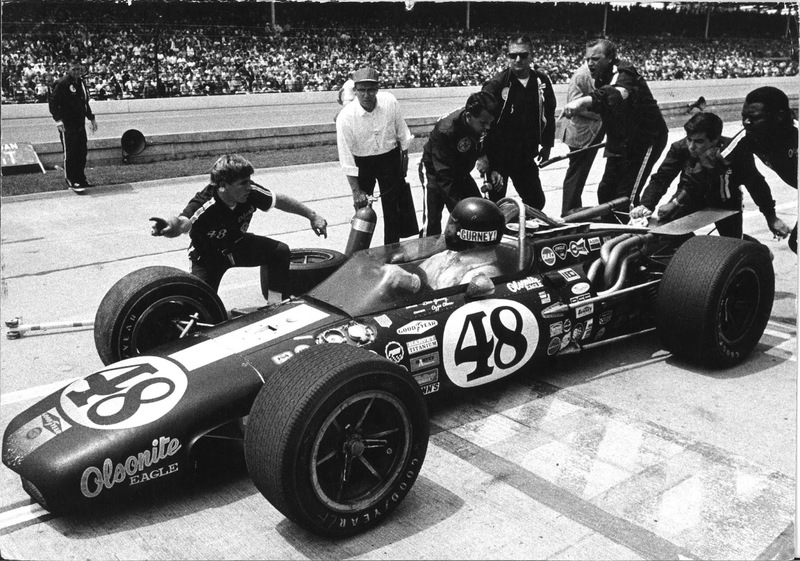 Joe Falk owns most of Circle Sport Racing, but not all of it. Archie St. Hilaire owns most of GoFAS Racing, and now, and a little of Circle Sport. The Wood Brothers own most of Wood Brothers Racing, along with a little bit of Go FAS. Based on the newly announced Wood Brothers/Go FAS “partnership,” it now appears that a Monster Energy NASCAR Cup Series team owner can pay a small amount of money – theoretically as little as $1 -- for a partial ownership stake in another organization, thereby assuming control of that team’s charter. Much like the insanely complicated glory days of NASCAR Top-35 system, when owners bought, sold and traded owner points with dizzying regularity and few (if any) guidelines, the sanctioning body’s new Charter System has now been manipulated to the point where it no longer resembles what it was expressly designed to be. Under guidelines hammered out by NASCAR and the Race Team Alliance prior to the 2016 season, 36 teams were granted charters that guaranteed them automatic entrance into every race for the next nine years. The idea was to reward teams for longstanding, full-season support of the series by giving them a tangible asset that could be sold, should they eventually elect to exit the sport. Charter holders were allowed to lease their charter to another team just once in a five-year period, should they elect not to compete themselves. Despite no announced changes to the Charter bylaws in the last two years, it now appears that an new option has been added; the option to transfer a charter by selling a minority ownership stake to someone else. 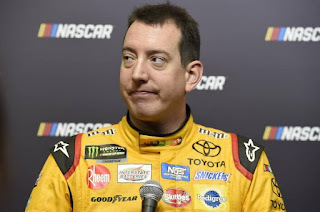 As a result, a team owner without a single career start in NASCAR’s top series could – theoretically, at least – acquire a charter simply by purchasing a 1% share in a charter-holding team, instantly assuring himself of a guaranteed starting spot in every race. That is categorically NOT what the Charter System was designed to be. In fact, it is exactly the opposite of what NASCAR and the RTA had in mind. The original wording of the Charter bylaws included no mention of “co-ownership.” Either you owned a charter, leased one, or went without. In addition to muddying the competitive waters, the concept of “co-ownership” strips all semblance of value from NASCAR’s 36 existing charters. Why would a team owner ever again pay six figures for a charter, when he can receive the same financial and procedural benefits by purchasing a tiny percentage of another, charter-holding team? While it is tempting to point an accusatory finger at the parties involved in last week’s machinations, it would be short-sighted to do so. Falk, St. Hilaire and the Woods simply did what racers have always done; manipulating the gray area to their own benefit, without actually stepping outside the rules. Falk found a way to protect a charter he was unlikely to use in 2018. St. Hilaire laid his hands – in whole or in part – on no less than two charters, paving the way for his planned expansion to a two-car organization in 2019. The Wood Brothers secured a guaranteed starting spot in every race this season, along with the beefier purse and point-fund checks that come with being a Charter holder. Everyone wins, except for the sport, which once again finds itself sinking into a baffling morass of “how did THEY get a charter” puzzlement, the likes of which we hoped to never see again. Hopefully, NASCAR will quickly draw a new line in the sand, adding language to its Charter bylaws to eliminate this “co-ownership” malarkey, once and for all. It’s a top water-cooler topic across NASCAR Nation these days; the ongoing battle between money and talent in the Monster Energy NASCAR Cup Series. 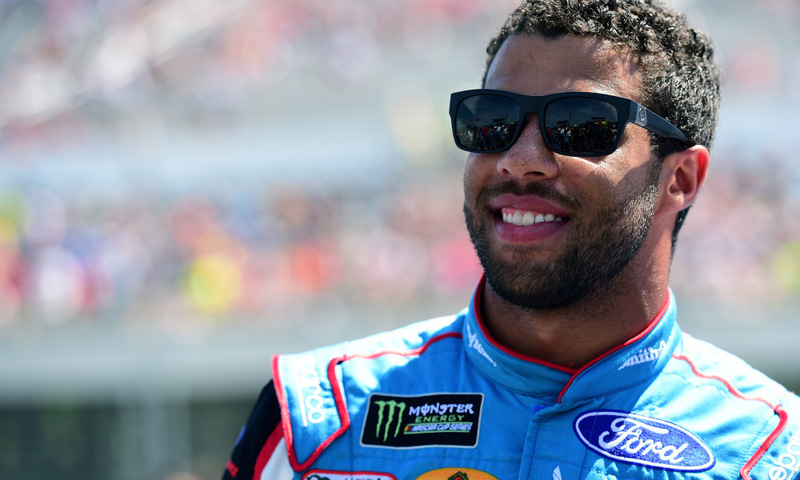 Some observers – including many longtime fans of the sport – believe that the almighty dollar has supplanted driving talent in determining NASCAR’s Sunday afternoon starting grid. And while there is no denying the importance of financing, a simple examination of the MENCS roster reveals far more wheelmen than sugar babies. MENCS champion Martin Truex, Jr. made good use of family money early in his career, campaigning family-backed entries all the way to what is now the NASCAR K&N Pro Series. From then on, however, the New Jersey native has made his way solely on talent, winning a pair of Xfinity Series titles for Dale Earnhardt, Inc., before being promoted to the Cup ranks with DEI, Michael Waltrip Racing and Furniture Row Racing. Runner-up Kyle Busch began modestly in the Legends Car ranks in his native Las Vegas, before advancing to NASCAR’s Southwest Tour. 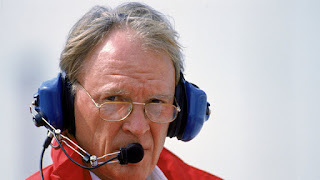 He brought little or no money to that series, but immediately displayed a level of talent sufficient to gain the attention of NASCAR owner Jack Roush. The same story can be told for older brother Kurt Busch, who climbed an identical ladder on his way to NASCAR stardom, there 2004 Cup Series championship and a win in last year’s Daytona 500. Last year’s third-place finisher, Kevin Harvick, came to national prominence by winning the 1998 NASCAR Winston West title for Spears Motorsports, an operation owned by Wayne and Connie Spears. 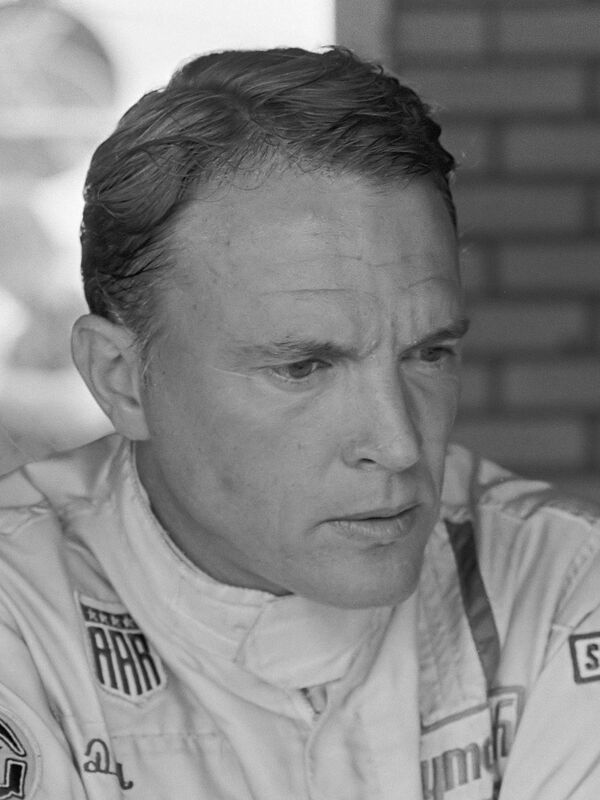 Harvick was hired solely for his driving talent and brought no money to the dance. That talent eventually made him the heir-apparent at Richard Childress Racing when Dale Earnhardt lost his life on the final lap of the 2001 Daytona 500. Brad Keselowski finished fourth in the 2017 MENCS standings, and his family’s racing story is well known. His parents, Bob and Kay Keselowski, mortgaged the family home on multiple occasions to keep their family owned race team afloat, before finally closing the doors for good in 2006. Keselowski’s big break came when Germain Racing tabbed him to replace the suspended Ted Musgrave in a 2007 Truck Series race at Memphis Motorsports Park, where he won the pole, led 62 laps and contended for the win. That performance convinced Dale Earnhardt, Jr. to put Keselowski in his No. 88 Nationwide Series Chevrolet, where he won the 2010 championship. 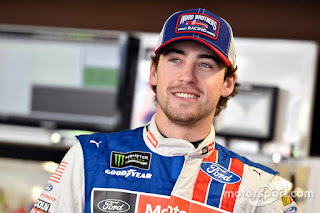 Today, he is a perennial title contender for Team Penske. 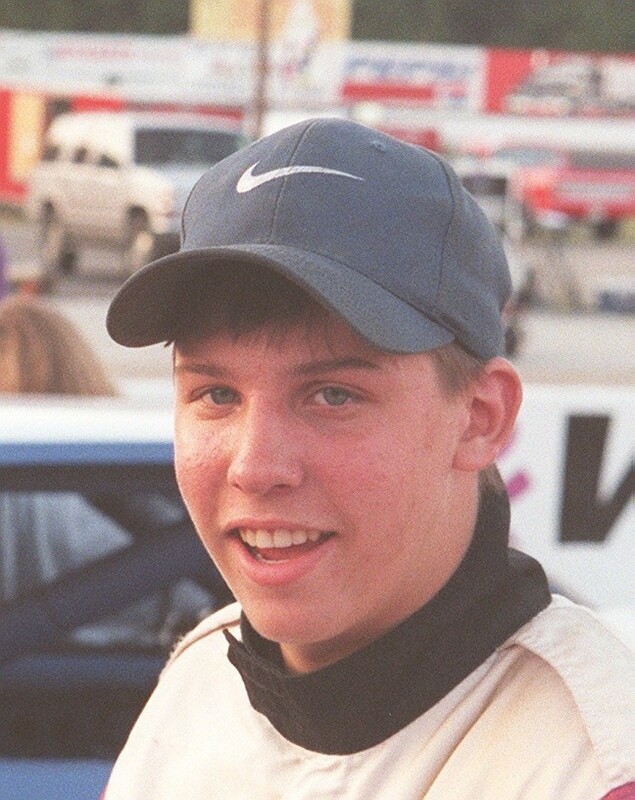 Denny Hamlin came from similarly humble roots. 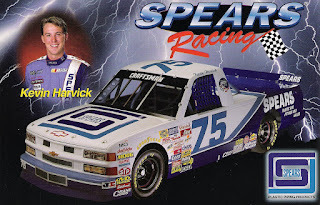 He began racing go-karts at age seven, eventually progressing to the Mini Stock and Late Model Stock ranks at Langley (VA) Speedway. Hamlin won 35 LMS races in just two seasons, including 25 victories in 36 starts in 2003. That was more than enough to earn him a driver development deal with Joe Gibbs Racing, an opportunity on which Hamlin has clearly capitalized. Kyle Larson was a top threat for last year’s MENCS title, eventually finishing eighth in points. 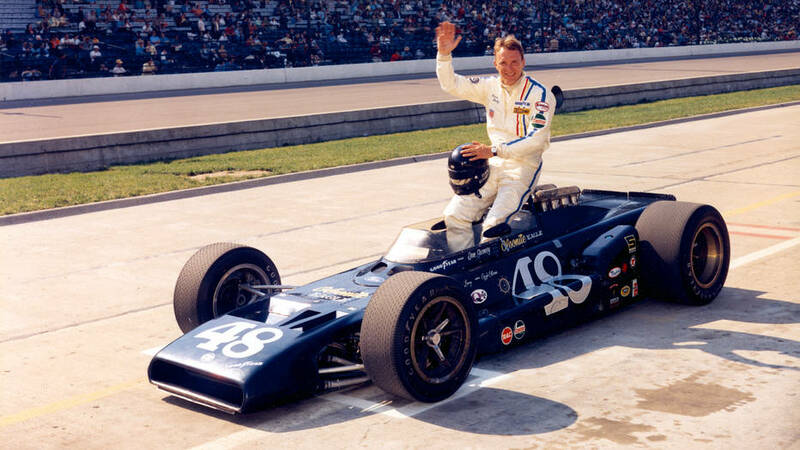 “Young Money” raced his way to NASCAR through the USAC Open Wheel ranks, winning Sprint Car and Midget races at a clip that quickly got him noticed in the NASCAR garage. Like Jeff Gordon and Ryan Newman before him, Larson made it to NASCAR without buying a single full-fendered seat, making his way to the top on talent, and talent alone. Of the 16 drivers who qualified for last year’s playoffs, only three – Truex, Chase Elliott and Ryan Blaney – can be said to have benefitted significantly from the presence of family money. The rest got there the old fashioned way. For every winless rich kid floundering around in the middle of the XFINITY or Camping World Truck Series pack, there are a dozen drivers like Clint Bowyer -- who got his call to the big time while sanding Bondo in a two-bay auto body shop – and Carl Edwards, who famously handed out business cards begging team owners to give him an opportunity behind the wheel. For every hapless newcomer with a ton of cash and no clue what to do with it, there is a Ricky Stenhouse, Jr., Erik Jones or Chris Buescher, all of whom came to NASCAR with nothing but talent, then attracted top-dollar sponsorship by running consistently at the front of the pack. There is no denying that Paul Menard’s career – including his win in the 2011 Brickyard 400 -- has been bolstered by the presence of family money and the constant guarantee of full-season sponsorship. Danica Patrick struggled through five winless Cup campaigns, assisted by the presence of high-dollar sponsorship. Money has always played an important role in determining who wins and loses on Sunday afternoon. 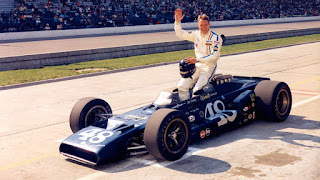 Richard Petty and David Pearson possessed awesome driving talent, but also benefitted from substantial sponsorship, factory backing and immense technological support. G.C. Spencer, Elmo Langley and James Hilton could also twist a pretty wheel, but never had the resources to compete with the big dogs. Some things never change. In the end, an honest assessment of the NASCAR roster proves that driving talent remains the most important form of currency.